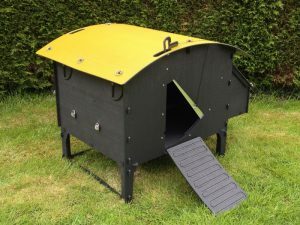 A great looking plastic house suitable for 8 large fowl or up to 15 bantams. These houses have a ten year warranty. They are very easy to put together , easy to move , easy to clean and are priced very competitively.No yearly treatment required and no red mite !! They also work well with the automatic door opener and closer which you can also purchase from use. We are very proud to be able to stock these houses that are built and designed in the South West. Our Chicken Lodge Large is made from recycled plastic and will hold a maximum of 8 large fowl or 15 bantams. It has 2 removable perches. 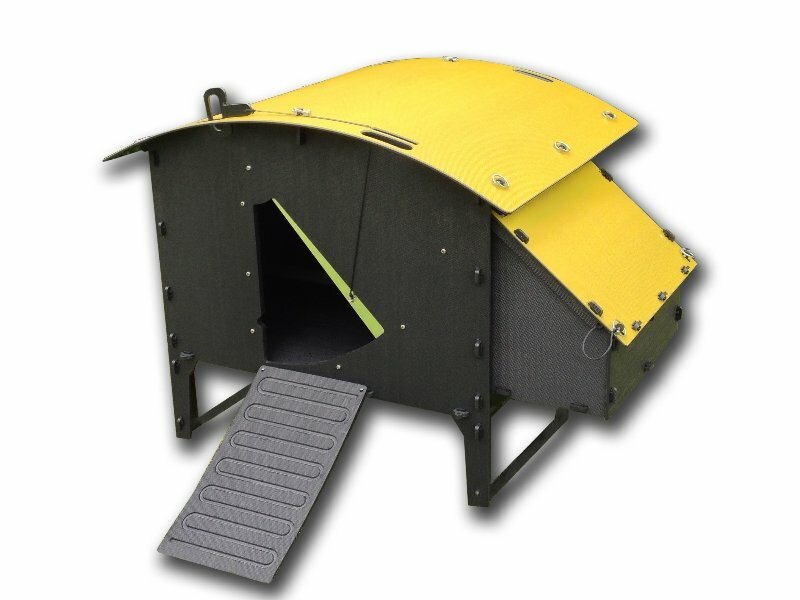 The door is designed so that it won’t trap dirt in the door slots, and it can be easily opened and closed, either manually or with a Chicken guard auto-opener. Access to inspect the birds can be gained via a full width back door which detaches using quick release pins. When the door is removed, there is no ‘lip’ on the floor edge. This, and the fact that the roof removes in seconds as well, makes regular cleaning a breeze. Access to the nesting box is quick and easy – just remove two quick release pins and lift off the lid. 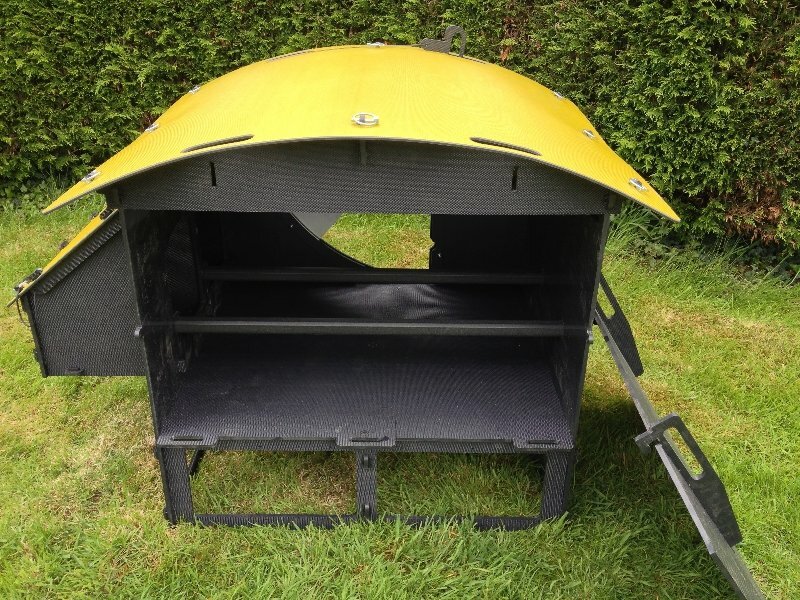 The entire nest box can be completely removed for cleaning by undoing more quick release pins.This lodge has permanent under-eave ventilation, as well as two adjustable circular vents. Even though the sides are made from black plastic, the house remains surprisingly cool, even in strong, direct summer sunlight.Being plastic, the houses require no maintenance. There are few crevices for pests (such as red mite) to hide in, and the house can be thoroughly cleaned very easily – in seconds if you have a pressure washer. And it will dry out very quickly, too.Carry handles are cut into the roof, so it is easy to move. But, even if you need to dismantle your hen house for any reason, perhaps because you are moving house for example, you can easily do so and then rebuild it just as easily. Your hen house will not be damaged by this process. Droppings Trays are offered as an optional extra for this product. In certain atmospheric conditions or if the chickens come into the house after being outside in the rain, condensation can form inside the house. Normally, this evaoprate or drains straight out of the house and is not a problem at all. However, if you use an absorbent bedding material such as newspaper or wood shavings, this will ‘wick up’ any moisture. This moisture will react with the droppings to give off ammonia, which is not good for the respiratory health of your birds. 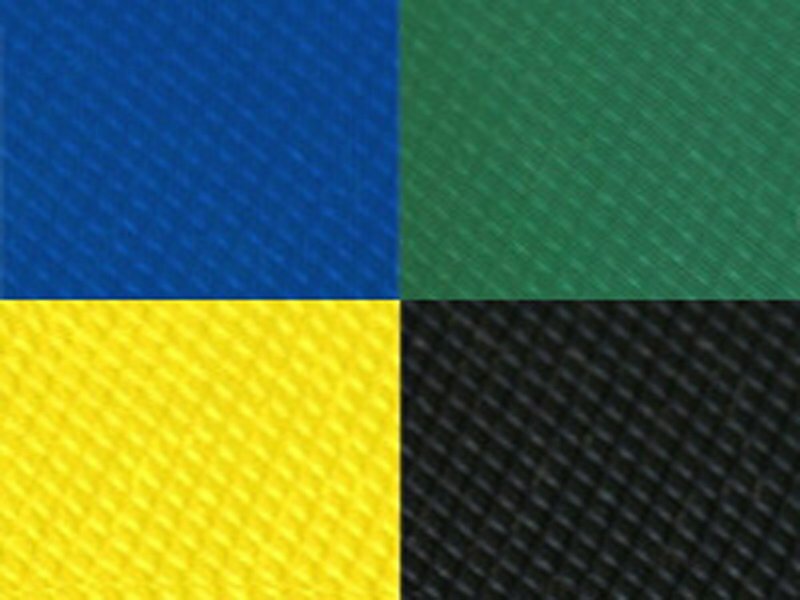 Our Droppings Traya are made from black recycled plastic (ABS – the same material used for car bumpers). 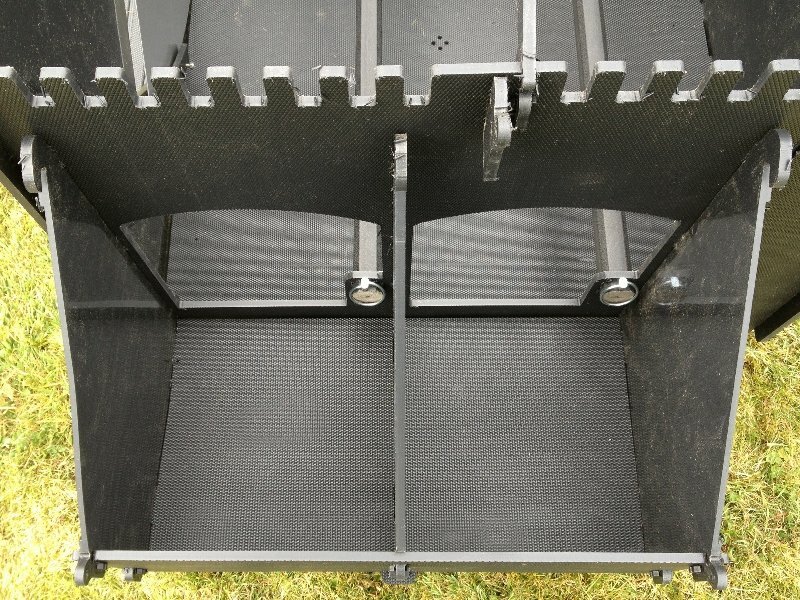 We use 2.5mm thick ABS, which make trays quite rigid and surprisingly tough. The trays are approximately 25mm (one inch) deep, so hold a decent quantity of bedding, such as wood shavings. The surfaces are smooth and they have sloping sides, so they are easy to clean and can be stacked if required. Please note that the trays are not an exact fit, and there will be small gaps between the edges of the trays and the sides of the house. 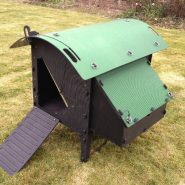 The house is made primarily from 9mm thick recycled polyethylene (the roofs and nest box lids are made from 6mm). It isflat-packed and can be quickly assembled by following the comprehensive instructions in our User Guide – you should allow about an hour for this if it is the first time you have assembled one of our houses. Most parts are held together using clips made from our own waste plastic, though quick release clips (linch pins) and some other parts are metal. Be the first to review “The Lodge (8 Chickens)” Click here to cancel reply.